Now all GP selected customers will get to activate GP 10GB 198Tk Internet Offer. 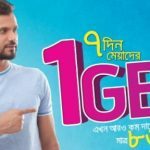 Bangladeshi number one telecom brand and most popular users friendly telecommunication operator GP has come to their valuable customers to activate GP 10GB internet only 198Tk offer. Now GP all subscribers will activate and enjoy 10GB special internet package only 198Tk offer. We all know that GP all times brings to their daily customers to enjoy very low price internet offer. 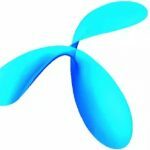 Its continuation they have announced to their subscribers to enjoy 10GB only 198Tk. The customers who want to activate this offer, just read this full content with attentively. In this bellow, I will share all more update information to activate this offer. You will also know GP 3GB Internet Package with the full description. GP all customers are eligible to activate 10GB(5GB Regular Data + 5GB 4G data only) for 7 Days (Activation+6) days at Taka 198. 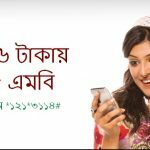 To activate GP special 10GB Internet package offer, just dial Activation code: *121*3133#. No auto renew feature applicably. After internet volume expiration, the customer will be charged 1.12 TK/MB up to 5MB. Dial *121*3352# to get uninterrupted internet, up to 200MB at the same rate or Dial *121*3# to buy a data pack. Unused data volume will be carried forward if the customer purchases the same campaign offer 10GB(5GB Regular Data + 5GB 4G data only) within the active validity period. 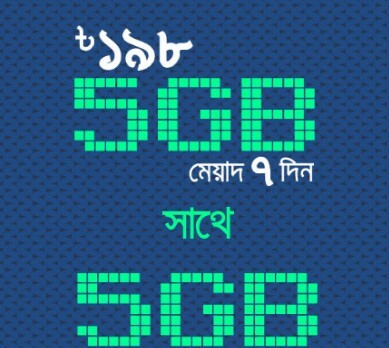 Now all customers have got more information to activate this special GP 10GB 198Tk Internet Offer. If you want to know more or faced any problem to activate this special internet package, just comment the box. Thanks to all for being here.